The reception was at Bonhams Barn in Alton. 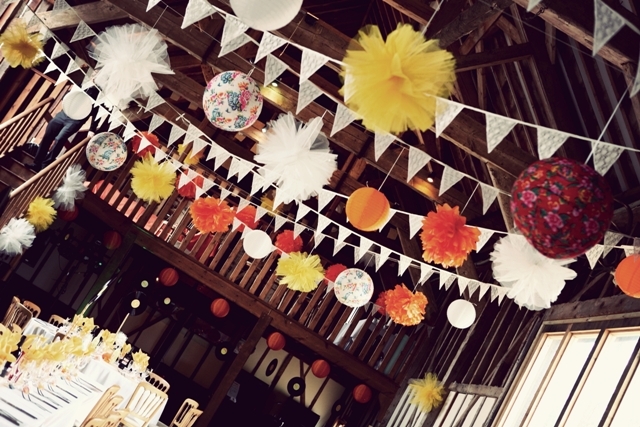 The couple chose the barn as they could put their own stamp on the decor – and the decor was amazing! 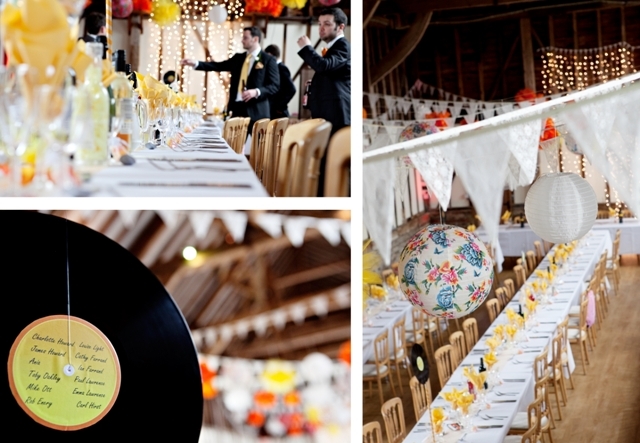 old records (Tom is a DJ) with lots of pretty lace bunting and hanging paper lanterns. 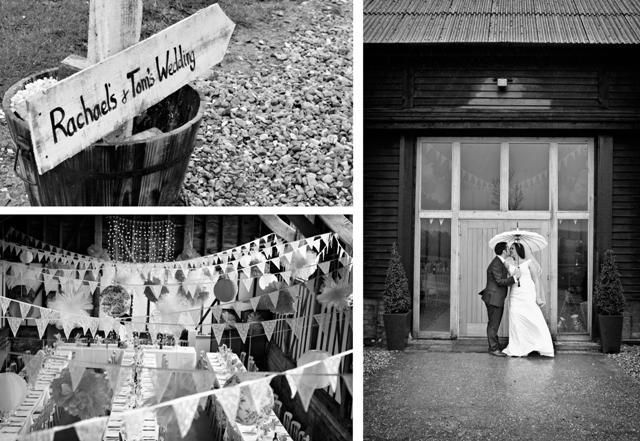 It was a rather wet day, but the couple did not let this dampen their spirits at all!